“In today’s rapidly changing business environment, companies that rely solely on full-time employees are finding they have neither the skills nor the agility to sustain success.” This quote from Harvard Business Review highlights the main reason companies are increasingly turning to flexible workforce models: to obtain the talent they need to succeed. The move towards a flexible workforce is real. 1 in 5 jobs in America is held by a worker under contract and within a decade, contractors and freelancers could make up half of the American workforce. Workers across all industries and at all professional levels will be touched by the movement toward independent work. There are many benefits to using a flexible workforce. First, you are able to adjust more easily and quickly to workload fluctuations. Consider a hospital as an example: patient demand can fluctuate on a day-to-day (and sometimes hour-to-hour) basis. Temporary staffing can help a hospital be agile in their staffing decisions. Temporary staffing also provides your business with “on-demand” talent when you need it most to cover for employee absences, whether due to illness, vacation, maternity or disability leave, or an employee’s sudden departure. Your organization might also experience unexpected or short-term needs such as for special projects, seasonal or peak cycles, or talent shortages. With unemployment now below 4%, your organization is likely struggling to find talent. Many companies use temporary staffing to evaluate talent before hiring. This can be a cost-efficient way to recruit and see the abilities of new talent before hiring them full-time. At a minimum, using temporary staff can help a company remain productive while hiring for a particular job. More companies are discovering the value and benefits associated with flexible workforce models and temporary staffing. 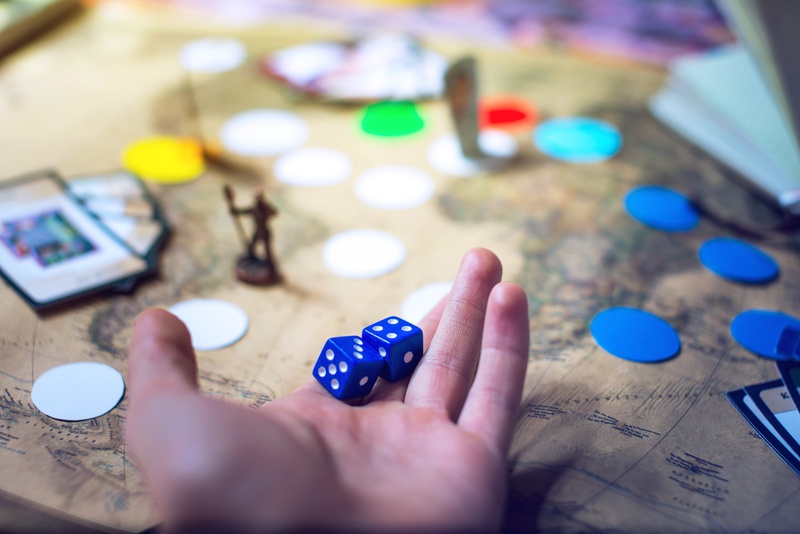 Every strategic choice has both benefits and potential risks, and this holds true for temporary staffing. If your organization uses a significant amount of temporary staffing, there are seven main risk areas you need to consider. 1. Risks from Co-Employment – another dimension of the classification issue involves co-employment. Co-employment can become a challenge when using temporary or contract employees. A client company will believe that the staffing agency is the sole employer of the temporary/contract workers but the client company might be managing the temporary/contract workers on a daily basis, providing direction, feedback, and discussing employment issues such as schedule, compensation, etc. This creates a co-employment situation, which then creates co-employment liability and risk. Staffing agencies and employers must clearly define the “employer of record” relationship. Think About: how does your staffing agency protect you from the risk of co-employment? What steps do you take together to clearly define who the “employer of record” is? What risks are you exposed to if the employee-employer relationship is not clear to your flexible workers? 2. Consistent Compliance – every organization has their own compliance standards when onboarding employees. Compliance could include pre-employment screening requirements, background checking criteria, and industry-specific compliance requirements such as the licensing and health requirements you find in hospital environments. Your organization enacted compliance requirements with good intentions, whether to protect your organization, your employees, or your customers. If your organization is using flexible or temporary workers, you need to consider how your specific compliance requirements extend to your temporary workers. Think About: how are you ensuring that your staffing providers are adhering to your specific compliance requirements? What are the implications if compliance requirements are not consistently met when onboarding temporary staff? What is your risk and exposure if a temporary worker is not in compliance with your requirements? How do your staffing providers audit the workers they provide to give you confidence that your requirements are being met? 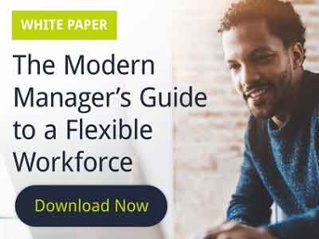 Read more: The Modern Manager's Guide to A Flexible Workforce: Create Fast, Nimble Team Through a Talent-On-Demand Approach. 3. Confidentiality/Trade Secrets – a recent article from the Society of Human Resources Management (SHRM) highlighted the fact that “72 percent of temporary workers admit to being given administrative privileges on their employers' IT systems, but only half of temporary workers are informed of any data restrictions during their onboarding.” Besides access to data and technology, temporary or contract workers also have exposure to potential trade secrets and confidential information. This is often required and acceptable to allow a temporary worker to be productive and contribute, but organizations can take steps to safeguard confidentiality, data, and trade secrets with all workers, including temporary or contract talent. Think About: have your staffing agencies partnered with you to implement customize confidentiality agreements? Do they require their talent to sign these agreements before they can start working in your organization? What procedures have you implemented to safeguard your data and proprietary information? Are your staffing agencies consistently adhering to your required measures? 4. Proper Classification – if you are using independent contractors as part of your flexible workforce, you need to understand the IRS rules regarding how you classify employees. Lawsuits on worker misclassification have become more common as the flexible workforce grows. Proper classification affects a worker's rights and entitlements, and a company's legal obligations. It also affects a worker's eligibility for federal unemployment benefits, state workers' compensation, and benefit plans. Think About: how confident are you that your employees are classified correctly? What is your risk and exposure if you do not have control over how flexible workers are brought on board in your organization? 5. 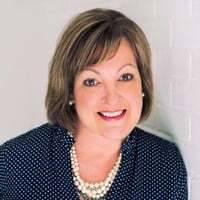 Productivity/Training – the best staffing agencies provide talent that is skilled and ready to contribute from “day one.” Still, there is a natural assimilation process for anyone – full time or temporary – who starts a new position. You might also require that some of your existing staff invest time to train a temporary employee and bring them up to speed on their responsibilities. Think About: how well does your staffing firm truly understand the job you need to fill? What steps have they taken to ensure the best possible fit? How can your staffing agency partner with you to reduce any training time and increase time-to-productivity to minimize disruption to your other employees? 6. Safety – safety in the workplace is a critical matter. Every organization must provide training, tools, and resources to reduce or eliminate workplace accidents. Organizations spend millions each year to train their workers on safety procedures and policies. Safety can be a concern for temporary employees in particular; the American Staffing Association has even partnered with OSHA in an alliance to promote temporary worker safety. Think About: how does your organization ensure that your safety strategy extends to your temporary workforce? How does your staffing provider partner with you to train and educate temporary workers on your safety procedures? 7. Security - it is critical to provide a safe environment for your employees. Many companies have controlled access to their facilities, they safeguard against unwanted items in their buildings (like weapons, drugs, alcohol, etc. ), and they have comprehensive security systems to keep their employees secure. Think About: how can your organization ensure consistent security procedures for temporary staff? How will you administer access for flexible workers in a manner that is compliant with your security requirements? How do you ensure that every staffing provider your company uses is complying with your security policies? Despite these seven risk areas, you can still experience the benefits of using a flexible workforce with confidence by taking three important steps. First, understand your requirements and outline your compliance needs before working with a staffing agency through consistent staffing firm agreements. Second, select your staffing agencies carefully. Ensure that each staffing agency will comply with your needs and your staffing agencies should be willing to customize their orientation practices to meet your requirements. The best staffing agencies will offer to provide training that aligns to your own practices. They should also be willing to be regularly audited to give you confidence that they remain accountable for compliance results. Finally, if you are using several staffing firms across your organization and your flexible workforce usage is significant, consider a more sophisticated compliance solution such as a Managed Staffing Program (MSP). MSP providers will help you ensure compliance and reduce risk and exposure by implementing customized contracts and standards for all staffing providers. They will also regularly audit and measure staffing firm compliance, giving you confidence and peace of mind that 100% of your workforce – whether regular or flexible – is compliant and consistent. Employee Risk Management is a complex topic; to learn more and discover the path to a successful flexible workforce, download The Modern Manager's Guide to A Flexible Workforce: Create Fast, Nimble Team Through a Talent-On-Demand Approach.